FVF’s campaign focus this year comes from Bristol Flexitarian who are campaigning to get us to eat less meat to help benefit the planet. Here’s some facts for you! 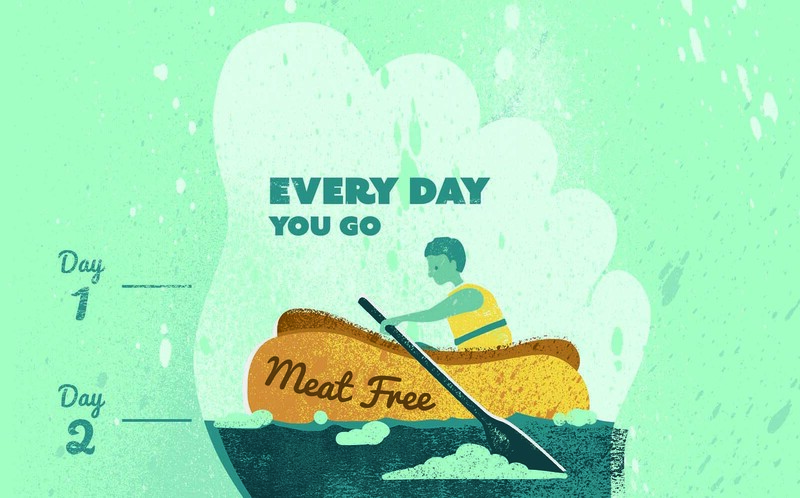 Going meat free for 1 Day can save a whopping 1300 Litres of water. 80% of Amazon deforestation is attributed to agriculture. Livestock accounts for 14.5% of global carbon emissions. If you haven’t heard of the documentary Cowspiracy check it out here! What looking at this campaign makes you realise is that meat is not a sustainable source of protein for a world with a growing population. Meat production takes up too much space, creates too much pollution and uses far to much energy in a planet of finite resources. If everyone in the world ate as much meat as we do in the west, we would need to convert every square acre of our planet into grassland to just grow that much beef. So come and engage with these ideas in the village this year and play the Meat Free Limbo Challenge and the Knock Steak Off It’s Pedestal Coconut Shy to have some fun with the idea of munching less meat. So go visit the Flexi Bristol stall at FVF this year and make a pledge to give up meat for a day. We dare you!